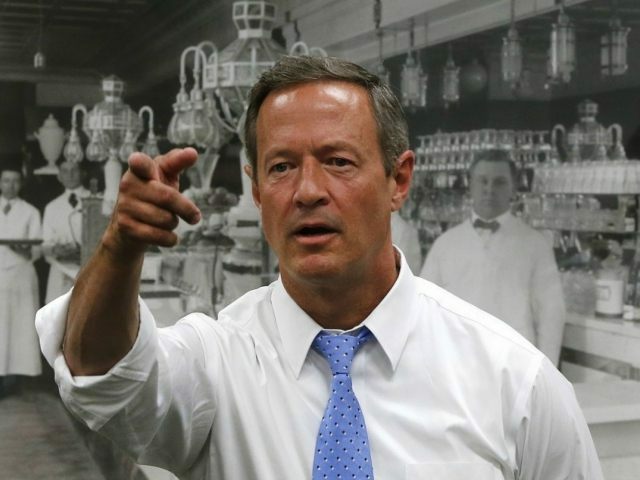 According to CNN, O’Malley said expanding background checks to every gun purchase, “whether from a licensed dealer, online posting, or private sale,” will be step one. This means every gun purchaser will have to pass the same background check Virginia gunman Vester Lee Flanagan passed to get his gun—which is the same background check alleged Lafayette theater gunman John Russell Houser passed to get his gun, and the same check which Aurora movie theater gunman James Holmes passed to get his gun. He also wants to require everyone who wants to own a gun “to obtain a fingerprint-based license, including completing safety training and a waiting period.” Illinois has a Firearms Owner ID (FOID) card system—how is that working out in Chicago? Also, how did waiting for state’s permission to buy a gun work out for Carol Bowne in New Jersey? An unarmed Bowne was stabbed to death by a former boyfriend from whom she could not protect herself because he attacked her after she had asked New Jersey’s permission to have a gun for self-defense but before New Jersey had given her an answer. O’Malley’s waiting period—which would admittedly be shorter than the time Bowne had to wait—nevertheless it communicates to women that the defense of their lives is not an urgent matter; that getting a gun for self-defense can be a wait of three, five, even 10 days or longer if that is what O’Malley thinks is acceptable. He also pledged to target federally licensed gun dealers in a way that will force them to go along with gun controls which Congress has not even passed. In Maryland, we implemented some of the toughest measures in the nation to crack down on gun violence. The reforms we put in place included required licensing, fingerprinting, background checks, and safety training. We ensured that these requirements applied to all buyers, whether they were acquiring a gun from a dealer, a secondary sale, or as a private gift. We took action to keep guns off the street and make them less deadly. We banned the sale of assault weapons and limited the size of magazines. And, if a firearm was lost or stolen, we required it to be reported immediately to law enforcement. Note that the specifics include license requirements for firearm owners, mandated training for would-be gun owners, background checks, bans on “assault weapons,” and a ban on “high capacity” ammunition magazines. This is a very similar list to the one he claims will reduce all gun deaths “within 10 years” nationwide yet it has not correlated with a reduction in gun violence in Baltimore. Far from it, Baltimore homicides hit “historic highs” more than once this year. And CBS Baltimore reports that the year-to-date homicide figures were “nearly 60 percent” higher at the end of July 2015 versus what they were at the end of July 2014.